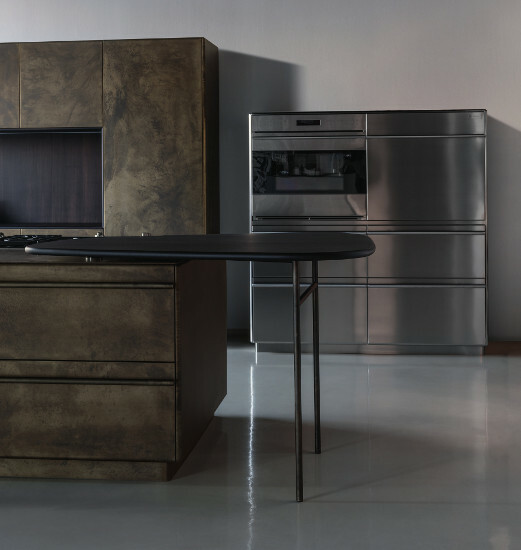 Lingotto is an organic kitchen characterised by the roundness of the countertops and the surfaces. 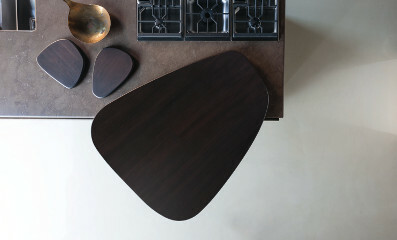 The particular connection of the tops, of the sides, and of the legs defines a perfect volume, rounded on the three axes. 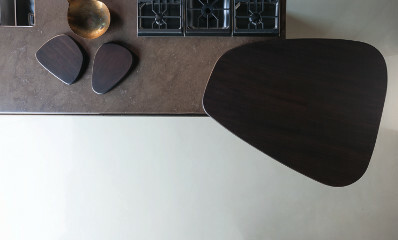 Lingotto transfers a new perception of form with a design that is striking, while not intrusive. The introduction of a burnished brass finish unites design and materiality, but also uniqueness: every door undergoes a manual treatment. And every kitchen is always different, like a work of art. 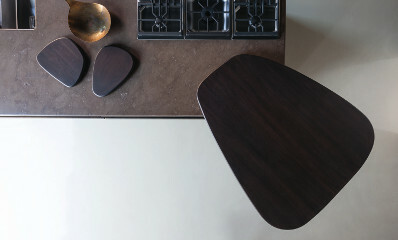 The new mud-coloured stone of the countertop is sourced from exclusive selected quarries, the components in walnut wood represents only one example of the capacity to combine different materials. 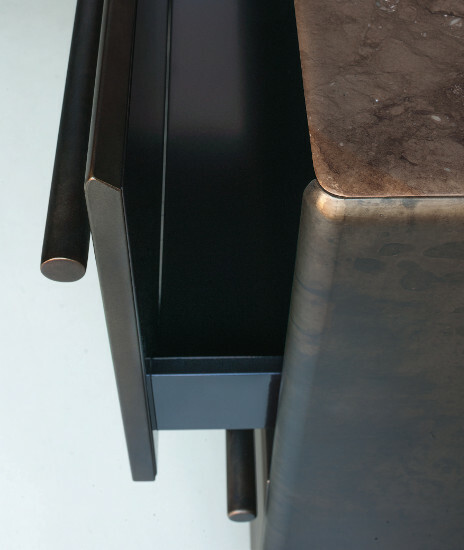 This cabinet-making represents excellence in the working of the metal and the stone. The inclusion of a horizontal handle recalls an aesthetic code characteristic of the kitchens of professional restaurants.